A restructuring is set to take place in the White House briefing room. The Gateway Pundit has recently learned from someone with very close ties to the Administration that Sarah Huckabee Sanders is slated to take over for current White House Press Secretary Sean Spicer. Our exclusive source declined a further request for additional information regarding Sean Spicer’s future role in the White House Administration. The staffing change is purported to have come directly from Sean Spicer who notified our source of the shift. 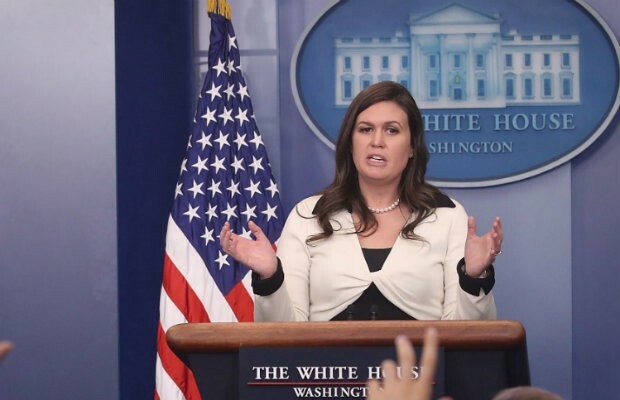 Sarah Huckabee Sanders, daughter of former Arkansas governor Mike Huckabee, will be taking over for current White House Press Secretary Sean Spicer, a source close to Spicer confirmed to the Gateway Pundit recently. Spicer, a Commander in the U.S. Navy Reserve, is reported to be up for a promotion to a different communications role within the White House once Sanders fills his slot. The change in roles for Spicer comes at a time when internal leaks have reached a peak. Sarah Sanders is an apropos pick for the Trump administration to fill the role of Press Secretary given her tact and ability to remain calm under pressure.